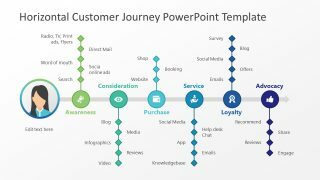 The 5 Why’s PowerPoint Templates is an innovative set of three slides for business model presentations. These slides graphically demonstrate flow chart layouts with both horizontal and vertical hierarchy. These slides further display three different designs for five why’s framework. The 5 why’s is a process of coming to conclusion by answering five questions. 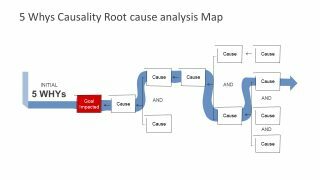 This technique of cause and effect relationship is an iterative reasoning which could begin with goal or problem. On average, the iteration of why’s is required five times to solve a problem. 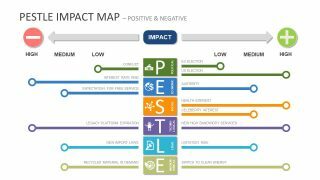 Therefore, this PowerPoint template of the methodology is a suitable presentation tool for professionals including business consultants and project managers. 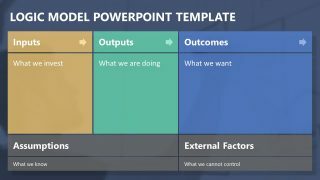 The 5 Why’s PowerPoint Templates assists users to select their desired model design as a part of their presentation. 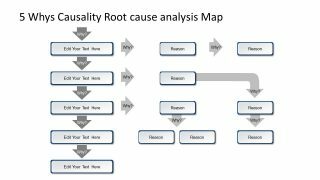 This layout is designed to determine main cause of problem by repeating the question why. Hence, professionals dealing with the complex strategies, planning and risk management can benefit from it. 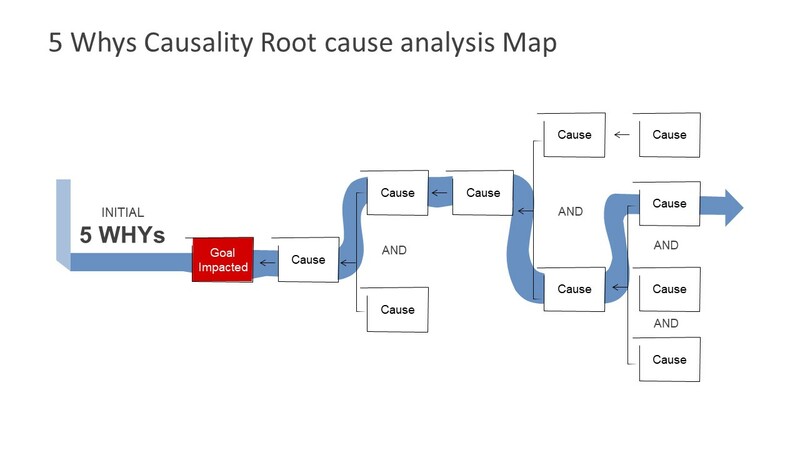 The first slide displays a horizontal hierarchical format showing causes leading to one goal. The model’s framework is a set of bar and arrow shapes to display flow of reasoning and causes. 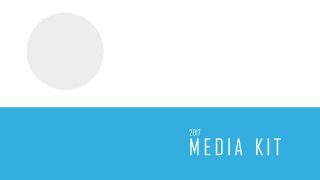 Apart from strategic management and problem solving techniques, the academic professionals can also take advantage of these slides. 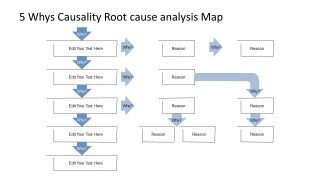 The PowerPoint design of 5 Why’s model is an editable slide deck for causality root cause analysis. The users can copy slides and customize the shapes, text fonts, or backgrounds. Each section of this model is an editable flat shape, enabling users to make changes in design.